I used circle cutters and oval cutters to cut my photos and colored paper. You can use templates for this. 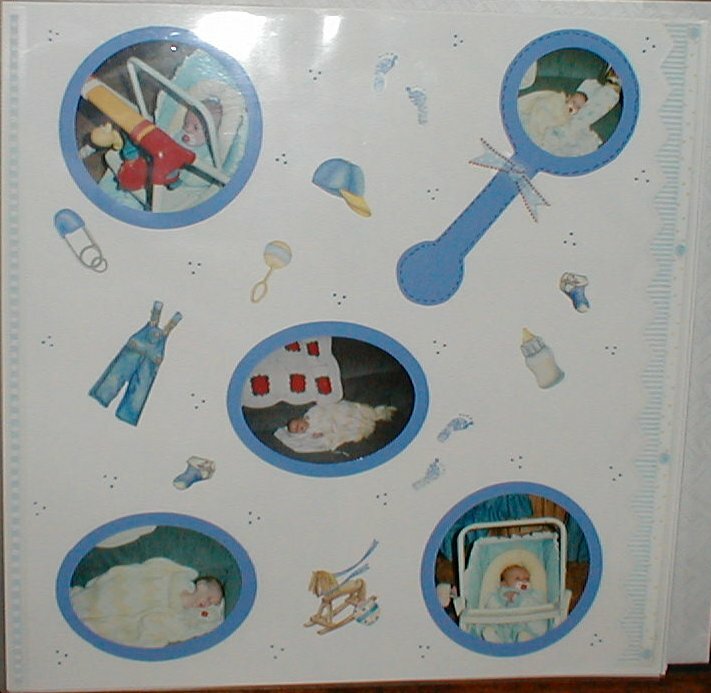 I then bought "It's a Boy" stickers and placed them all around the page. I also made the baby rattle by drawing a larger circle and then a smaller one. I connected the two circles by tracing to lines. I then cut the baby rattle out taping it to the page I added a photo in the middle of the rattle and then added a sticker for and extra added touch, then I drew stitching around the rattle to make the rattle pop out. Using a blue marker I made Dots just to add a little color to the page.